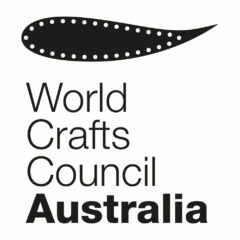 With regret, we announce the loss of a grand figure of Australian craft. Dr Robert Bell’s leadership as curator on both Australian coasts helped give our crafts the national prominence it was due. He was also a keen advocate internationally for Australia’s role in the World Crafts Council. He will be sadly missed. Our condolences to this dear friends, colleagues, family and wife Eugenie Keefer Bell, who provided us with the following obituary. Loving and cherished husband of Eugenie Keefer Bell for over 32 years. Beloved by his family as eldest son of John (dec) and Vonda (dec), brother of Anthony and Beverley, brother-in-law of Gabrielle and Lance in Australia, and Diane, Richard and Ronald in California, uncle of goddaughter Veronica and nephew James. 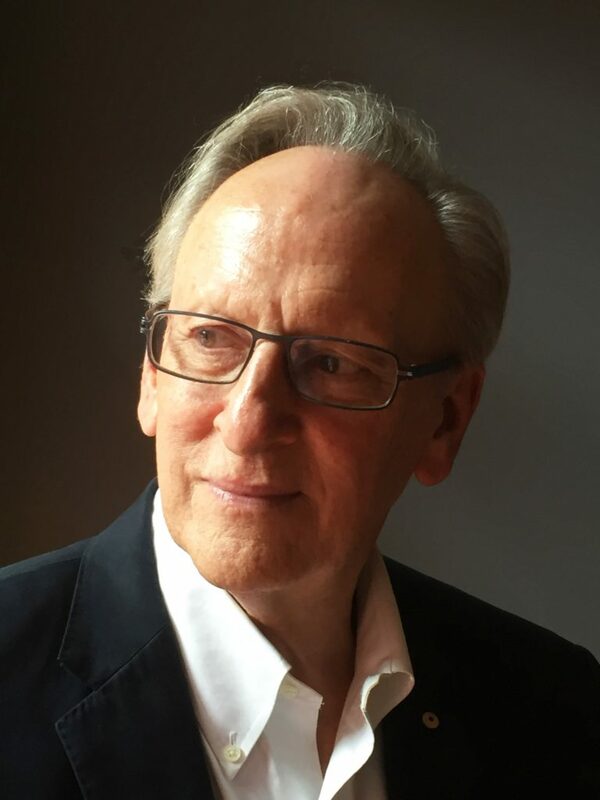 Robert completed a 50 year career in the arts, serving with insight and passion as Senior Curator of Decorative Arts and Design at the National Gallery of Australia, following long terms as Curator of Crafts and Design at the Art Gallery of Western Australia and Senior Designer at the W.A. Museum. As an artist working in ceramics and textiles, his work was exhibited in Australia and internationally, and is held in public and private collections. He was awarded the 2001 Australian Centenary Medal, the 2005 Australia Council Emeritus Award and in 2010 was made a Member of the Order of Australia (AM) for service to contemporary craft and design. An unfailingly generous and gracious man, Robert was loved and admired by his family, friends, colleagues and the many artists whose work he encouraged and supported. A private cremation service will be held. So very sad to hear this. I knew Robert in the mid ‘60’s when we both attended Perth Technical College taking a ‘Commercial Art’ course. Although we shared the same surname, I am quite sure we weren’t related. I always knew he would make a great contribution to the Arts as he excelled at everything. After leaving college, I went to the U.K. to live and we lost touch. Ironically, as it turns out, just recently I tracked him down online and contacted him but sadly got no reply. I suspect now he was unwell and unable to as I’m sure he would have otherwise. I’m so very glad I knew him and pass on heartfelt condolences to his family. To Jeannie, Bev and families. My thoughts are with you all. Robert was a inspiration to us all with his stead fast support and belief for a strong creative craft community. Thinking of you all. I last saw Robert in Canberra in January of 2017 and he was a typically gracious and wonderful host. A more knowledgeable and passionate craft curator the world has not seen. He will be missed! Robert Bell was a wonderful man who I first met with Helen Drutt in Philadelphia. He was kind, humorous and learned – and wore that great learning lightly. His knowledge of the crafts was immense and I was thrilled and privileged to see his landmark international show Transformations: The Language of Craft in Canberra in 2005-6 and to speak at a related conference. This was probaby the most ambitioius craft show ever staged. When I returned to Australia in 2015 Robert was as kind and as helpful as ever and I spent a lovely evening at his house with his charming and amusing wife Eugenie. Dearest Robert you were man of great integrity and my heart goes out to your family, above all to Eugenie. Worked with Robert at the Art Gallery of W.A in the early 1970s. I became Curator of Curtin University and we lost contact.However his generosity of spirit and knowledge will be missed.His great love of design and his collection of “lancia Italian cars” are etched in my heart….a soul of special rare exception. I have known Robert Bell for over 40 years, through his work in museums and galleries and his early involvement in the Crafts Council of Australia. We have shared an interest in the same curatorial field of decorative arts, crafts and design and he was always an informed and generous colleague, with a great record of exhibitions, writing and participation in the field. He and Eugenie have also been long-time personal friends and I send my warmest thoughts to her and to Robert’s family, at this time. Robert, we all miss you. I am so very sad & shocked to hear of the passing of Robert. I only found out today & memories of you both in Japan & Garran came Flooding back. My deepest condolences to you & Robert’s family, & I know he will be missed deeply by many.